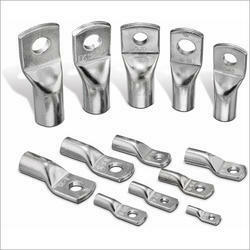 Providing a wide range of Cable Lugs to our clients. Manufacturer of a wide range of products which include stainless steel cable tie, stainless steel tie, stainless steel cable ties (pvc coated), stainless steel cable ties (un coated) and self locking nylon cable ties. 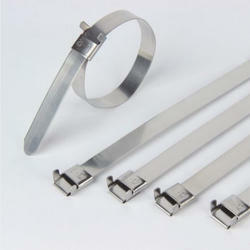 As a renowned company, we are engaged in offering an exquisite range of Stainless Steel Cable Tie. 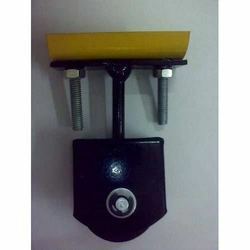 We have used the best quality material only to manufacture these products. 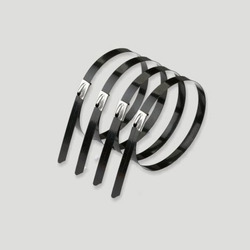 Stainless Steel Cable Tie is made resistant to the effects of unfavorable factors and moisture by utilizing the anti resistant material for their coating. Self Adhesive Wire Supports offered by us are made available in different suitable tie widths and are precision designed to support wire bundles. These wire supports can be used on any clear grease-free surface and are developed to provide reliable performance as well as durable functional values. With these supporting the needs of light weight wire bundles, for heavy support, we offer mounting holes provided for screws. For applying the wire supports one just need to simply peel off backing paper and apply the mount to surface. We are able to offer Earthing Accessories to respectable clients. The offered range of earthing accessories is made utilizing high grade raw material and innovative technology by dependable vendors. This range of earthing accessories is known for safeguarding both lives & the equipment. 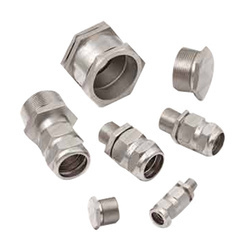 We are providing Cable Glands Components to our clients. 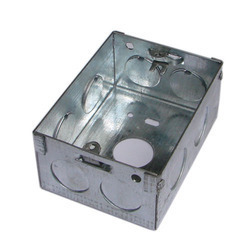 We are one-step ahead of our competitors in manufacturing and supplying a wide range of Rust Free Electrical Boxes. We use best available technologies to manufacture these boxes and ensure purpose specific construction and optimum performance. We are providing Spiral Wire Bind. We provide these at very nominal rates. Product Code ID OD SP Bundle Length Mtrs. 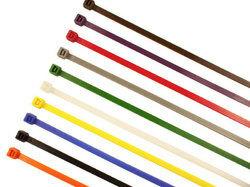 We are a prominent enterprise, which is engaged in offering Cable Ties to the respectable clients. 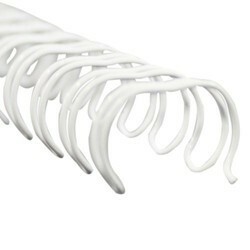 The offered range of cable ties is sourced from trusted vendors, who ensure to use premium grade nylon material. Along with this, the offered range of cable ties is available in different customized dimensions and allied specifications as per the diverse demands of clients. 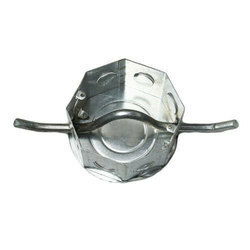 We are an exporter and manufacturer of Quick Coupling components. The Quick Release Couplings offered by us, are known for their superior quality and high efficiency among the clients. 1 FCQCP-12 M12x1.5 FCPTCP-10 ID 9.6 13 25Nos. 2 FCQCP-16 M16x1.5 FCPTCP-12 ID 11.8 15.8 25Nos. 3 FCQCP-20 M20x1.5 FCPTCP-16 ID 15.9 21.2 25Nos. 4 FCQCP-25 M25x1.5 FCPTCP-20 ID 20.2 26.2 25Nos. 5 FCQCP-32 M32x1.5 FCPTCP-25 ID 26 32 25Nos. 6 FCQCP-40 M40x1.5 FCPTCP-28 ID 27.8 34.5 25Nos. 7 FCQCP-50 M50x1.5 FCPTCP-36 ID 36 42.8 10Nos. 8 FCQCP-63 M63x1.5 FCPTCP-47 ID 46.5 54.2 10Nos. 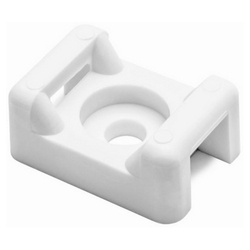 Screw Mounting Tie Support offered are designed to provide additional functional support to cables. 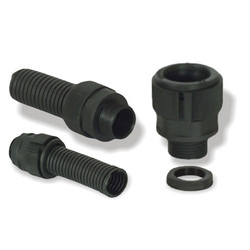 Being simple to install, these are made available with screw/bolt options that provides for secure and durable mounting. These tie supports also provide superior functionality in areas of high vibration and are designed specifically for holding heavier cable bundles. With maximum suitable tie widths of 5mm and 10mm, these also come with features like high tensile strength and longer service life. 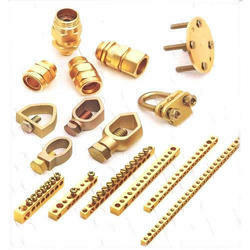 We are offering Electrical Connectors to our clients. 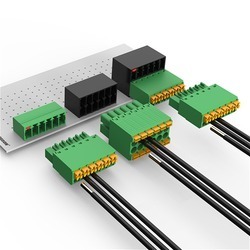 We are offering a wide variety of Cable Carrier to our clients. Our company is reputed for exporting a range of uniquely designed Fan Junction Boxes . We are one of the world class suppliers of a range of high quality Metal Fan Boxes. Looking for Electrical Components & Panel Accessories ?